401(k)s allow business owners and employees to save up to $56,000 annually through tax-free salary deferrals, matching, and profit-sharing. While all 401(k)s follow IRS rules, choosing the right provider is still very important. We’ve reviewed more than a dozen 401(k) companies and compare the seven best below. For a low-cost, full-featured 401(k) plan that is able to grow as you do, consider Spark 401k. Their advisers and customer success managers will help you determine the right plan design, conduct employee education, and answer all your 401(k) questions. The one-time setup fee is $750 and administration costs start at just $100 per month. 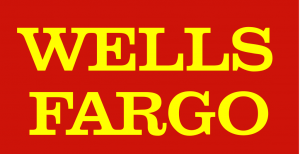 Wells Fargo (Best Overall) Best full-service 401(k) provider for small business owners. Spark 401k Business owners who want an all-online provider that includes cost-competitive funds. Merrill Edge Business owners who want a full-service alternative to Wells Fargo. Human Interest Business owners looking for an easy-to-use investment platform for administering their 401(k). Vanguard Businesses that want the widest range of low-cost mutual fund options. Paychex Businesses that need a payroll provider with seamless 401(k) administration. Fidelity Another full-service alternative to Wells Fargo and Merrill Edge. When determining which 401(k) providers are best, we looked at traditional banks, HR companies, mutual fund companies, payroll providers, and third-party administrators. 401(k) providers come in all shapes and sizes, and we found a wide range of top providers that offer an array of services. Members on our list offer different services with varied billing structures. Ultimately, there are a lot of 401(k) options out there. If you already have a relationship with a provider or administrator, they will be able to best guide you. If not, we recommend Wells Fargo as the best full-service 401(k) provider or Spark 401k as the best all-online option. Vanguard is also an extremely strong provider except that they don’t provide 401(k) plan administration, record keeping, payroll processing, or additional banking services. Wells Fargo is the best overall 401(k) company due to its credible reputation and diverse list of services at a competitive fee structure. Wells can help clients in 401(k) administration, trading, investment advice, and cash management—in addition to business lending and other business banking needs. If you are looking for a single firm that can fill all of your needs, including a 401(k), Wells Fargo is your best option. Wells Fargo is one of the largest diversified financial services holding companies in the world. In addition to 401(k) administration, Wells Fargo provides a wide range of services, including retail and business banking, securities brokerage, and wealth management. The bank has about $2 trillion in assets, while the investment advisory division manages another trillion. Mutual funds: Wells Fargo recommends an array of mutual funds as investment options within 401(k)s. The company offers its own mutual funds and also makes funds from other providers available to 401(k) participants. ETFs: 401(k) clients can also invest in Wells Fargo or third-party ETFs, which are baskets of individual securities like mutual funds that trade like stocks. Stocks: You can actively trade domestic and international stocks with Wells Fargo. Bonds: Wells Fargo also allows participants to trade individual debt issues. Target date funds: Wells Fargo has a line of target date funds that are designed to automatically adjust the underlying portfolio based on a targeted retirement date. Plan administration: Wells Fargo serves as a third-party administrator and record keeper for 401(k) and other employer-sponsored retirement plans. Cash management: With its suite of banking services, Wells Fargo can help small business owners manage business resources from month to month. Payroll: The firm provides payroll processing for small businesses as an add-on service. Trading platform: Well’s securities trading platform is available to all brokerage clients and can be used to handle trades through 401(k)s.
Investment advice: For those who need help managing investments, advisers form Wells Fargo can provide individual guidance. Proprietary investment options: Wells Fargo has a host of in-house investment products, including mutual funds that are available to 401(k) participants. Wells Fargo has a comprehensive online platform as well as retail banking branches around the country where clients can go for assistance. In addition, Wells Fargo has contracted with independent financial advisers throughout the country who, though not branded under Wells Fargo, can help clients navigate the company’s various offerings, get answers to questions, and start or administer a plan. Online securities brokerage: Wells Fargo has its own brokerage arm where businesses and consumers can invest using their online platform. Investment advisory services: Investors who want one-on-one guidance can turn to Wells Fargo for financial advice pertaining to their 401(k) or other accounts. Insurance and annuities: Employers and employees who need life insurance and other annuities can also find them through Wells Fargo. Proprietary banking and investment products: Like many full-service firms, Wells Fargo has its own mutual funds, ETFs and more, offered to customers at a low cost. Personal and business banking: Wells Fargo can, of course, provide consumer and banking services. Lending: Finally, small business owners can turn to Wells Fargo for business and personal loans, as well as margin accounts for investments separate from 401(k)s.
The costs for a Wells Fargo 401(k) vary greatly based on the size of a plan, number of participants, investment options available, as well as the specific role(s) that Wells Fargo is playing in setup and administration. Plan administration fee (0.25% to 2% per year): Administrative costs can be based on either employee headcount or amount of assets in the plan, depending on the provider. As the plan grows in assets or number of participants, administrative costs rise. Annual fund fee (0% to 1.25% per year): Fund fees are based on the amount of assets invested in the fund, paid automatically by the fund, and included in a fund’s expense ratio. The fee will rise as more assets are invested in the fund. 401(k) plans should not include “loaded” funds that are sold at a markup, as this generally violates an employer’s fiduciary duty to a plan. Custodian fee (0.1% to 0.5% per year): This is usually based on employee headcount and rises as the number of plan participants grows. While Wells Fargo has many offerings, the biggest drawback is that they often involve overlapping divisions within the firm. This can make it complicated to solve problems that arise. Additionally, the many potential add-on business services have their own fees, so it’s important to know exactly what you need and what you’re willing to pay for it. To establish a 401(k) through Wells Fargo, visit their website, call their toll-free 800 number, or find a local financial adviser who works on Wells Fargo’s platform. A local adviser can help you implement your plan and assist with any future problems. You’ll get access to the same resources and technology, with costs remaining the same if you’re careful not to let your adviser add additional fees. Spark 401k was founded as Sharebuilder 401k services and acquired by Capital One in 2012. Under the Spark 401k banner, Capital One is focused on offering low-cost 401(k) plans to self-employed individuals and small businesses that include the lowest-cost, best-in-class investment options available. Using Spark 401k, small business owners can set up a plan completely online for a flat fee and start investing immediately. Spark 401k is a branch of Capital One Advisors that is focused on offering low-cost 401(k) plans to small businesses of all sizes. While most 401(k) companies help small business with as few as 10 to 12 employees, Spark 401k can serve small business owners with no employees besides themselves. Index ETFs: Spark 401k makes available to plan participants about a dozen low-cost index ETFs that have annual expense ratios of 0.39% or less. Model portfolios: Participants can use five different model portfolios that are comprised of mutual funds, ETFs, REITs, and other investments. Plan administration: Spark 401k administers 401(k) plans and handles all record keeping as well as IRS testing. Investment platform: Participants in plans administered by Spark 401k can invest in ETFs and other investment options through Spark’s online platform. Capital One’s Spark 401k platform is an excellent, streamlined service for business owners who are comfortable handling plan setup and administration online. In addition to handling plan issues online, Spark 401k has a team of professionals who can assist small business owners with plan issues as they arise. Personal and business banking: Capital One offers small business owners and employees personal and business banking services. Lending: In addition to 401(k) and banking services, Capital One also offers loans for business or personal services as well as credit cards. Spark 401k offers plans with flat-fees that vary based on the type of plan you establish and the number of participants in your plan. Plans for businesses with employees can start at $500 upfront and $95 per month. One-time setup fee ($150 to $750): Setup fees depend on whether you’re setting up a Solo 401(k), a Traditional 401(k), or a Safe Harbor plan. Plan administration fee ($25 to $110 per month): Monthly administrative costs vary based on the type of plan you have, and can also fluctuate based on the number of participants in your plan. Annual fund fee (0.04 to 0.39% per year): Participants in plans administered by Spark 401k pay annual investment fees that vary based on the investment options they choose. These fees are deducted directly from participant accounts and range from 0.04% to 0.39% for index ETFs and 0.06% for model portfolios. Spark 401k is an excellent provider for small business owners who are comfortable setting up a 401(k) plan online. However, Spark 401k’s streamlined offering doesn’t allow for alternative investment options like individual stocks or bonds. The company is also focused on making low-cost options available to super-small businesses, but isn’t as good at custom options for mid-level companies. Small business owners who want to establish a 401(k) plan with Spark 401k should start by visiting their website. You can learn more about their offerings and the funds they make available. If you decide to start a plan, you can do so completely online and start investing immediately. Merrill Edge is on online brokerage unit of Merrill Lynch, which has been wholly-owned by Bank of America (BoA) since 2009. Merrill trails Wells Fargo largely because of uncertainty resulting from its recent restructurings. However, Merrill Edge is still a great full-service 401(k) provider for small business owners, especially those that need or want additional banking services. Through Merrill Edge, small business owners can get access to all BoA services and resources, including business banking, lending, and wealth management. As a standalone unit, Merrill Edge offers clients an easy, cost-effective 401(k) option that provides ample investment options, streamlined service, and a straightforward fee structure. Mutual funds: Like Wells Fargo and other providers, Merrill typically structures 401(k)s with an array of mutual fund investment options for participants. Merrill Edge offers mutual funds from Merrill Lynch and also other providers. ETFs: As with other providers, 401(k)s through Merrill Edge with brokerage options allow for investing in ETFs that trade like stocks. You can access ETFs from Merrill Lynch as well as other providers. Stocks: If given a brokerage option within a 401(k), participants can actively invest in individual stocks. Bonds: Some investors can also buy and sell individual debt issues in their 401(k). Target date funds: Merrill Edge doesn’t have its own target date funds, but offers funds from Merrill Lynch and other providers designed to automatically adjust the portfolio balance as a targeted retirement date draws near. Plan administration: Merrill can administer the plan, conduct compliance testing, and help you bring your 401(k) plan back in compliance if it fails any nondiscrimination tests. Record keeping: As part of 401(k) plan administration, Merrill can setup the record keeping system required for all plans. Trading: Merrill has its own trading platform that your employees can use to make changes in their portfolio. Account reporting: Merrill provides statements to 401(k) account holders and assists with required filings for your plan. While Merrill is not a payroll provider, it does make it easy to coordinate contributions to your plan by setting up automatic contributions for employees, plus cash sweeps for employer matching and any profit sharing. While Merrill Edge is predominantly online, its parent companies have offices around the world. Merrill Lynch offices and Bank of America (BoA) branches are in most communities across the country. You can use a dedicated representatives from one of these offices to resolve any issues and provide individual guidance, in addition to numerous other financial services. While not the cheapest 401(k) company, Merrill Edge is relatively cost effective. Even more significantly, they are easily one of the most straightforward providers in terms of cost. All the costs of a 401(k) through Merrill Edge are available through their website and provided in an in-depth proposal for prospective clients. Setup fees ($390): Merrill charges a flat setup fee that is deducted from the business account. Monthly administration fee ($90): Administration fees are also paid by the employer and are also flat fees. Investment fiduciary fee (0.07% annually): Fiduciary fees are paid by employees and based on the amount of assets in their account. As employees invest more in their account, their fiduciary fee will increase. Participant service fees (0.20% annually): Participant fees are also paid by employees and based on the amount of assets in their account. The more they invest, the higher their service fee. Account servicing fee (0.25% annually): Account fees are also paid annually by employees and increase as the size of their account rises. Record keeping fee ($4 monthly per participant): Record keeping fees are a flat, monthly amount paid by each plan participant. The total record keeping fee charged will rise as the number of participants increases, but the fee per employee will not change. Mutual fund expense ratio (0.03% to 2% annually): Whether you use Merrill funds or outsize independent options in your 401(k), mutual funds will include annual expense ratios that are paid automatically by each employee. Beware of funds that charge more than 1.5% annually. As you invest more in a fund, the amount charged by the fund to cover its expenses will increase. As a business unit, Merrill Edge is focused predominantly on discount brokerage services. For almost any add-on service or for individual customer assistance, you’d need to work with additional units within Bank of America. There are many products and services available, but it can be difficult to piece them all together properly across multiple divisions. Additionally, several lines of business are commission-driven, so be careful not to buy expensive products or services that you don’t need. To set up a 401(k) with Merrill, visit their website to review information and request a proposal online. The process takes less than 10 minutes to complete. Once you receive your proposal, Merrill makes it easy to purchase a plan and start contributing. Human Interest is a relatively new Silicon Valley startup that has proven to be a real disruptor in the 401(k) space. The business was founded on a belief that many 401(k) companies charge excessive or hidden fees. Human Interest is an investment platform that can administer your 401(k) plan, and is great for small business owners willing to use an “online” provider for ease of use in order to save time and money. Compared to other 401(k) companies, Human Interest is extremely low cost. This is partially due to their sales model, which is focused on marketing directly to small business owners rather than through financial advisers. While they don’t offer payroll services in-house, they work well with most systems and provide a core group of services very efficiently. Unlike some other providers, Human Interest provides more limited investment options. Still, the funds they offer are typically the most popular types of investment vehicles for retirement accounts. Mutual funds: Human Interest provides 401(k) participants with an array of well-diversified mutual funds to choose from, offered by reputable companies. Target date funds: 401(k) participants can also invest in funds that are structured specifically for shifting debt-to-equity ratios as investors move closer to retirement. While potentially beneficial, target date funds can involve additional fees. Vanguard offers many of these funds and you can access them through Human Interest. Plan design and administration: Human Interest will help you design a plan that meets your specific needs, and implement and administer the plan. Record keeping: The company will handle record keeping for your 401(k), included with administration services. Trade processing: 401(k) clients are able to trade a limited number of securities through their trading platform. Guidance on investment options: Human Interest will help individual employees with selecting investment options as necessary. Financial literacy courses and employee resources: In addition to helping employees pick 401k investments, Human Interest provides resources for 401(k) participants to learn more about saving and investing. As a younger company, Human Interest is almost entirely online. There are no offices around the country for clients to get guidance, nor is there a menu of additional services that many other providers offer. However, each 401(k) client gets a dedicated account manager, and the company works with other types of providers to make administration seamless for business owners and employees. They even provide support for 401(k) plan participants who want to borrow against their retirement assets. Of all the providers surveyed, perhaps none was more upfront with the costs of their services. Human Interest provides a detailed list of their fees directly on their website, and is extremely cost-efficient in their offering. Administration and record keeping ($120 per month plus $4 per employee): These fees will rise as you add employees, but the fee per participant does not change. Investment advisory fee (0.50% per year paid by employees): As the amount each participant invests through the plan increases, their investment advisory fee will rise. Investment fund fees (0.08% per year on average): Investment options available through Human Interest charge an average of 0.08% per year on funds invested in each fund. While Human Interest is a great, low-cost alternative 401(k) provider, it does have its drawbacks. For one, it has no network of offices where clients can sit down with advisers for guidance. There are no banking or other brokerage services for small business owners. Also, the company offers little flexibility with investment options, instead keeping employees limited to more general options with broad suitability. This gives investors little ability to focus investments in particular sectors or industries based on their own outlook or risk tolerance. To implement a 401(k) through Human Interest, visit their website to get started. You can submit contact information in just a matter of seconds and a representative of the company will follow up. You can also call their toll-free 800 number to provide the initial information required. Vanguard is the largest mutual fund company in the world, managing more than $4.5 trillion. The company offers professionally-managed mutual funds and ETFs that can potentially be used within a 401(k) plan, depending on the design of the plan. Vanguard is the ideal provider of investment options for any 401(k). Typically, you can access Vanguard funds through many providers, and should be used in conjunction with a third-party administrator. In the 401(k) space, Vanguard’s role is confined to pure money manager. They don’t do plan administration, payroll, or banking, but they are very highly regarded as money managers and a great source of investment options for your 401(k) plan. Vanguard’s funds have many different focuses (domestic versus international, stocks versus bonds, aggressive versus conservative), and they offer investors a good deal of diversification at an exceedingly low cost. Mutual funds: Vanguard offers more than 100 mutual funds that are well-managed and among the most inexpensive in the industry. They are available to 401(k) participants through most plan administrators. ETFs: For those employers who structure a 401(k) to include a brokerage option, Vanguard also offers a line of ETFs that are also well diversified and low cost. Target date funds: Vanguard offers a wide array of funds that are designed to automatically adjust the underlying portfolio over time as a targeted retirement date draws closer. Unlike other providers that tend to layer fees for target date funds, Vanguard’s target funds are among the most the most cost effective in the mutual fund industry. Vanguard offers relatively easy integration with banks and payroll service providers when used through an administrator platform. However, like most mutual fund companies, they still have substantial room for improvement when it comes to technology and seamless integration. For retail investors, Vanguard’s customer service is pretty good. However, 401(k) plans typically hold Vanguard funds through an intermediary, like a plan administrator. This means that Vanguard doesn’t coordinate customer service directly. Instead, customer service is typically handled by a 401(k) administrator. Vanguard’s expenses in the 401(k) space are confined solely to fund charges. Most 401(k)s typically don’t use loaded funds, so they only pay fund expense ratios that average 0.12%. These fees increase as the amount invested rises and are automatically deducted from participant accounts. They can often be used to offset other expenses within a 401(k) plan, depending on the other providers you use. The biggest drawback with Vanguard is their direct customer service in the 401(k) space. Because small businesses work through an administrator or adviser to use Vanguard’s funds in a 401(k), investor access to fund managers is restricted, as is individual customer service. Vanguard also does not conduct plan administration or record keeping in-house, nor does it provide any add-on services for small businesses. Vanguard doesn’t offer 401(k) plans directly to small businesses, so the best way to use Vanguard in a 401(k) is to work with a plan administrator whose platform includes Vanguard funds. When designing your plan, make sure to include Vanguard investment options. For more information on Vanguard’s funds that you may want to include, visit their website. Paychex is an excellent, affordable provider of payroll and HR services. They also provide outsourced benefits solutions, business loans, and other services for small- and mid-size businesses. Paychex is a great provider for small business owners who want to outsource payroll processing to a company that can integrate well with 401(k) administrators and other providers. Paychex focuses primarily on payroll, though in the 401(k) arena they also provide critical record keeping services. Most importantly, however, Paychex offers seamless integration with 401(k) third-party administrators (TPAs), making the process of plan administration much easier for small business owners. As a payroll provider, Paychex does not offer any investment options. Instead, its client firms are able to use any investment options available through the plan administrator they choose. Paychex is being highlighted here for the extreme ease in which they can coordinate with 401(k) plan administrators. This gives small business owners a great deal of flexibility to choose an administrator, trading platform, and investment options that are right for them. Paychex’s role in the process is confined, but effective and cost-efficient. For example, they’ll facilitate pre- or post-tax employee contributions as well as any employer match. While Paychex is focused almost exclusively on payroll and HR solutions, there are more than 100 offices in parts of the country that small business owners can contact for assistance. The company does a great job of making it easy for business owners to work with 401(k) plan administrators to implement a plan and make contributions. Because Paychex does not provide plan administration or investment options, its costs are confined to payroll services, should you decide to use them. Their billing structure is based on the number of employees and pay periods per year, and increases with the number of employees and number of annual periods. They have additional charges for processing employee W-2s and other tax forms, and you need to contact them directly for a free quote. Though a reliable payroll provider, Paychex plays a very narrow role as a 401(k) company. It does conduct record keeping, but does not handle plan administration or trading—its role is confined to payroll processing. Still, the company offers flexibility with providers of other services and investment options that are used within a 401(k) plan. To use Paychex for payroll and record keeping services in connection with a 401(k), start off by visiting their website, calling a representative, or going to a local office. Request a quote for your specific business, and get started on their platform if it seems right for you. Fidelity is a diversified financial services company offering mutual funds, securities brokerage, and business and personal banking, including credit cards and business loans. Fidelity won’t beat some other providers listed here, but may be competitive for some 401(k)s in some cases and is a good option, especially if you already have a relationship with them. Like Wells Fargo and Merrill Edge, with Fidelity, small business owners can get access to 401(k) plan administration and record keeping services, a full trading platform, and investment advisory services, plus personal and business banking. Many of these services come from different business units, but can all be provided by Fidelity as a full-service firm. Mutual funds: In addition to its own line of mutual funds, Fidelity also offers 401(k) participants access to funds from other providers through its trading platform. ETFs: If a 401(k) is established with a brokerage option, participants can trade in ETFs, both from Fidelity and other providers. Stocks: Employees can actively buy individual shares in companies if their plan includes a brokerage option. Bonds: Plan participants in certain plans can also trade in individual debt issues from companies and countries. Target date funds: Fidelity offers a wide array of target date funds through its Freedom Funds line, with targeted retirement dates in five-year increments ranging from 2005 to 2060. The funds automatically adjust as the targeted retirement date gets closer. Plan administration: Fidelity helps in plan design and implementation, compliance testing, and Form 5500 preparation and filing. Record keeping: Fidelity can serve as a record-keeper required for 401(k) plans. Trading: 401(k) plan participants can select investment options and trade securities through Fidelity’s trading platform. Account reporting: Fidelity takes care not only of plan reporting for the IRS, but also reporting plan and account changes to plan participants. As a privately-owned company, Fidelity emphasizes customer service. Naturally, as a large, national brand, they sometimes come up short. Still, they have offices in a number of communities around the country, where clients can go to get individual assistance or work with a dedicated adviser for one-on-one guidance. 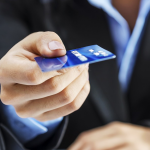 Personal and business banking: In addition to checking and savings accounts, Fidelity offers CDs and credit cards. Securities brokerage: Perhaps Fidelity’s biggest service is helping clients to trade in securities. Investment advisory services: For clients who want help selecting an investment strategy or specific services, Fidelity can provide in-depth investment advice. Payroll processing: Though typically better for larger companies, Fidelity even offers payroll services to businesses that can integrate fully with health and retirement benefits. Plan administration: Fidelity doesn’t make fee information available publicly, but bases administration fees on the number of plan participants and plan assets. These fees tend to rise as the number of plan assets and participants increase, but should never exceed 1.5% to 2% of plan assets. Record keeping: Record keeping is often included with plan administration, but Fidelity may also provide standalone record keeping services. The fees for this service are allegedly based on number of participants and plan assets, but are typically between 0.4% and 1%. Record keeping costs also tend to rise with the number of plan assets and participants. Mutual fund expense ratios: Most 401(k)s provide participants with a selection of mutual funds that don’t charge loads but do include expense ratios that cover trading and management costs. Expense ratios should range between 0.3% and 1.5%. The biggest thing missing with Fidelity is more detailed information on costs. More than many other providers, fee information is a closely-held secret with Fidelity. Before contracting with Fidelity as a 401(k) provider, make sure to carefully review proposed costs and fine print. To set up a 401(k) with Fidelity, visit their website and request a quote. They will request additional information about your company, number of employees, plan size, and desired services. You can also take steps to find a dedicated rep to help you through the process. If you aren’t sure a 401(k) is right for you, you may want to consider several other types of accounts, including SEP or SIMPLE IRAs. Each has their own benefits, but as IRAs, they are far cheaper and easier to implement and maintain than 401(k) plans. SEP IRAs can be ideal alternatives if you’re self-employed or own a small business with less than three to five employees. If you make more than $75,000 per year, a SEP can be especially advantageous because you can contribute up to 25% of income or $56,000 without the expense of a 401(k). The key difference with SEP IRAs is that employers are required to fund all contributions for themselves as well as their employees. There are no employee salary deferrals or matching contributions. For businesses with more than three to five employees, this can often be more expensive than a 401(k). A SIMPLE IRA is literally simpler than a 401(k). It has even been called the “poor man’s 401(k)” because it offers many of the same benefits for small businesses with a few employees, without the expense of administering a 401(k). Like a 401(k), SIMPLE IRA contributions are comprised of employee deferrals and matching contributions. However, the contribution limits are lower for a SIMPLE IRA, and employer matching contributions have to follow strict guidelines. If you’ve decided to structure a 401(k) for your business, be sure to consider certain factors when choosing providers. Items other than cost are important, including ease of integration, customer service, and additional services offered. 401(k) companies come in all shapes and sizes, and provide very different services to small businesses.